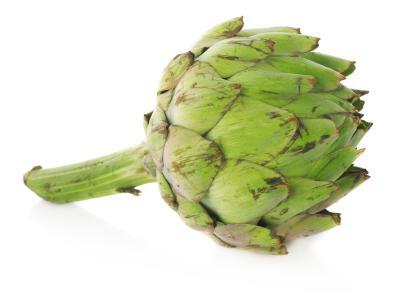 Alcachofa dietary supplement contains fluid from artichokes. Alcachofa dietary supplement is a liquid solution that can be taken once a day to assist in weight loss. Alcachofa is the Spanish word for artichoke. The leaf, root and stem of the artichoke plant can be used to make liquid extracts which can be used as a dietary supplement or as a complementary medicine. The dietary supplement may not be readily available in the United States; you may have to order it online from other countries. L-carnitine - This is an amino acid that can help increase the metabolism of fat in the body. L-lisine - L-lisine is an essential amino acid that is an important building block for proteins. This amino acid can also help the body absorb and conserve calcium; when combined with vitamin C, L-lysine can optimize the production of collagen. Fennel Fluid Extract - This extract is said to increase gastric secretions which improves digestion; it can also increase urination. Apple Vinegar - Apple vinegar may increase weight loss by working as a fat burner. It also has been shown to lower blood sugar levels and have an impact in lowering blood cholesterol. Methionine - Methionine is another essential amino acid that contains sulfur. It may also help the liver process fat and assists the liver in removing toxins from the body. Methionine also helps in the formation of creatine which is important in muscle functioning; it is also another piece in the production of collagen. This combination of ingredients is thought to assist in managing weight, increasing fat loss and improving overall health. There is not much medical evidence that proves the effectiveness of this product; however, if you decide to use this as a supplement, be sure to discuss this with your healthcare provider. Alcachofa is thought to stimulate the flow of bile from the liver and may improve stomach conditions such as nausea, gas and pain. This may also be beneficial in lowering high cholesterol levels by reducing the amount of total and low-density cholesterol or LDL over 6 to 12 weeks of treatment. There is little scientific evidence to prove most of the other purported uses for this supplement such as a treatment for irritable bowel syndrome, high blood pressure, anemia and kidney problems. Alcachofa comes in a liquid-filled capsule which should be mixed with your beverage of choice and taken once a day in the morning. This liquid should not be injected or taken by any other method except by mouth. Alcachofa should only be taken by people who are already eating a healthy diet and exercising. It is not a quick weight loss plan. When using alcachofa for treating stomach ailments, an extract from the artichoke leaf has been used instead of the mixture used as a dietary supplement. Alcachofa can cause intestinal gas and allergic reactions. If you are allergic to certain flowers like daisies and marigolds or plants like ragweed, you may be at higher risk for an allergic reaction with the artichoke extract. People with bile duct problems may want to avoid alcachofa since it does increase the flow of bile. If you have existing gallstones, you should avoid this supplement as well. While there are small studies regarding the effects of alcachofa, this supplement has not been approved by the FDA. You should discuss the use of this product with your physician or health care provider before using. If you are pregnant, breastfeeding or pumping breast milk, using any medications or under the care of a physician, you should speak with your physician before using this dietary supplement. Since this dietary supplement is ordered from other countries, there may be some concerns about the production and safety of this product; this is another reason to discuss using this supplement with your doctor or pharmacist before using.